Cities: Capital — Antananarivo (pop. about 1,300,000). Other cities — Antsirabe (about 500,000), Mahajanga (about 400,000), Toamasina (about 450,000). Nationality: Noun and adjective — Malagasy. Population (2010 estimate): 20.1 million. Annual population growth rate (2009 estimate): 2.7%. Education: Years compulsory: 5. Literacy — 64%. Health: Infant mortality rate: 48/1,000. Life expectancy — 59 years (2007 estimate). Branches: Executive: president, prime minister, cabinet. Judicial — Supreme Court, High Court of Justice, Constitutional High Court. Legislative — National Assembly and Senate. NOTE: On March 17, 2009, democratically elected President Marc Ravalomanana stepped down and purported to transfer his authority to a senior military figure, who in turn purported to confer the presidency on opposition leader Andry Rajoelina, who is currently heading the self-proclaimed High Transitional Authority (HAT). The United States characterized the transfer of power as tantamount to a military coup d'état and does not recognize the HAT. References to de facto government officials in this text do not reflect U.S. recognition of the HAT regime. GDP (U.S.$, 2009 est., official exchange rate): $8.6 billion. GDP per capita (2009 est., official exchange rate): $438. GNI per capita (2009 est., purchasing power parity): $990. Natural resources: Graphite, chrome, coal, bauxite, ilmenite, nickel, gold, oil, tar sands, uranium, precious and semiprecious stones, and hardwoods. Agriculture (29% of GDP, 2009 est. ): Products — rice, livestock, seafood, coffee, vanilla, sugar, cloves, cotton, sisal, peanuts, and tobacco. Industry (15.9% of GDP, 2008 est. ): Types — processed food, clothing, textiles, mining, paper, refined petroleum products, glassware, construction, soap, cement, tanning. Trade: Exports (28% of GDP, 2009 est. ): vanilla, coffee, cloves, shrimp, graphite, essential oils, apparel, industrial minerals and gemstones. Major export markets — France, U.S., Germany, Italy, U.K. Imports (52% of GDP, 2009 est. ): foodstuffs, fuel and energy, capital goods, vehicles, consumer goods and electronics. Major suppliers — France, China, Iran, Mauritius, Hong Kong. The Malagasy language is of Malayo-Polynesian origin and is generally spoken throughout the island, with significant regional variations. French is spoken among the educated population of this former French colony. English is becoming more widely spoken, and in 2003 the government began a pilot project of introducing the teaching of English into the primary grades of 44 schools, with hopes of taking the project nationwide. In 2010, however, the de facto government introduced measures that would limit the use and teaching of English. Most people practice traditional religions, which tend to emphasize links between the living and the dead. They believe that the dead join their ancestors in the ranks of divinity and that ancestors are intensely concerned with the fate of their living descendants. The Merina and Betsileo reburial practice of famadihana, or "turning over the dead" celebrates this spiritual communion. In this ritual, relatives' remains are removed from the family tomb, rewrapped in new silk shrouds, and returned to the tomb following festive ceremonies in their honor. Beginning in the 1790s, Merina rulers succeeded in establishing hegemony over the majority of the island, including the coast. In 1817, the Merina ruler and the British governor of Mauritius concluded a treaty abolishing the slave trade, which had been important in Madagascar's economy. In return, the island received British military and financial assistance. British influence remained strong for several decades, during which the Merina court was converted to Presbyterianism, Congregationalism, and Anglicanism. Malagasy troops fought in France, Morocco, and Syria during World War I. After France fell to the Germans in World War II, the Vichy government administered Madagascar. British troops occupied the strategic island in 1942 to preclude its seizure by the Japanese. The Free French received the island from the United Kingdom in 1943. In 1947, with French prestige at a low ebb, a nationalist uprising was suppressed after several months of bitter fighting. The French subsequently established reformed institutions in 1956 under the Loi Cadre (Overseas Reform Act), and Madagascar moved peacefully toward independence. The Malagasy Republic was proclaimed on October 14, 1958, as an autonomous state within the French Community. A period of provisional government ended with the adoption of a constitution in 1959 and full independence on June 26, 1960. 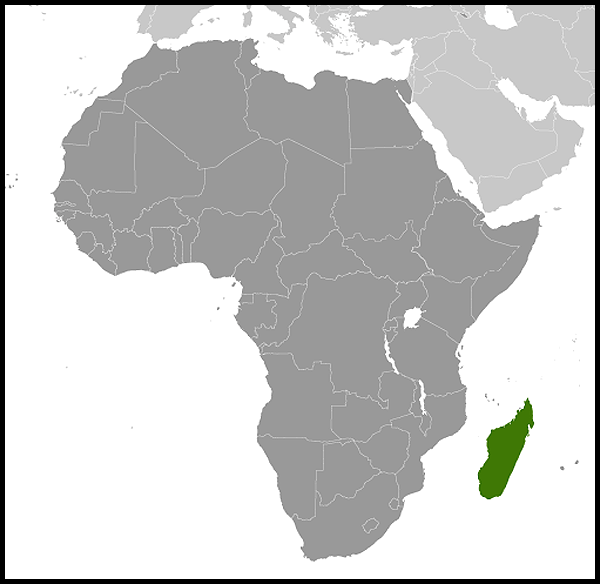 The principal institutions of the Republic of Madagascar are a presidency, a parliament, a prime ministry and cabinet, and an independent judiciary. The president is elected by direct universal suffrage for a 5-year term, renewable twice. The last presidential election was held on December 3, 2006. There is currently no legitimate sitting president or government in Madagascar. The following paragraphs describe the format of Madagascar's Government as laid out in Madagascar's constitution. In Madagascar, the parliament has two chambers; the National Assembly and the Senate. The last National Assembly election was held on September 23, 2007, and marked a significant reform to the parliament. The National Assembly has 127 members, elected for a 4-year term in single-member and two-member constituencies. The Senate has 33 members, with 22 members elected for a 6-year term, 1 for each province by provincial electors, and 11 members appointed by the president. Following the 2009 coup d'état, the Malagasy National Assembly and Senate were dissolved by the de facto authorities. Thus, there is currently no legitimate legislative body in Madagascar. In an effort to decentralize administration, the country's six provinces were dissolved in the constitutional referendum of 2007, in favor of 22 regions. Decentralization is an ongoing process, and was a key element of Madagascar's development plans prior to the 2009 coup d'état. Madagascar maintains an embassy (http://www.madagascar-embassy.org/embassy/) in the United States at 2374 Massachusetts Avenue NW, Washington, DC 20008 (tel. 202-265-5525). During the 16 subsequent years of President Ratsiraka's rule, Madagascar's government was committed to revolutionary socialism based on the 1975 constitution that established a highly centralized state. Elections in 1982 and 1989 returned Ratsiraka for a second and third 7-year presidential term. For much of this period, only limited and restrained political opposition was tolerated, with no direct criticism of the president permitted in the press. In the late 1980s, the Ratsiraka regime came under increasing pressure to make fundamental changes. With a deteriorating economy, mass demonstrations, and crippling general strikes, the limited economic and political reforms Ratsiraka enacted were insufficient to placate a growing opposition movement known as Hery Velona or "Active Forces." A number of already existing political parties and their leaders, among them Albert Zafy and Rakotoniaina Manandafy, anchored this movement. In a bid to placate this opposition, Ratsiraka replaced his prime minister in August 1991 but suffered an irreparable setback soon thereafter when his troops fired on peaceful demonstrators marching on his suburban palace, killing more than 30. In an increasingly weakened position, Ratsiraka acceded to negotiations on the formation of a transitional government. The resulting "Panorama Convention" of October 31, 1991, stripped Ratsiraka of nearly all of his powers, created interim institutions, and set an 18-month timetable for completing a transition to a new form of constitutional government. The High Constitutional Court was retained as the ultimate judicial arbiter of the process. In March 1992, a widely representative National Forum organized by the Malagasy Christian Council of Churches (FFKM) drafted a new constitution, which was put to a nationwide referendum in August 1992 and approved by a wide margin, despite efforts by pro-Ratsiraka "federalists" to disrupt balloting in several coastal areas. Presidential elections were held on November 25, 1992, after the High Constitutional Court had ruled, over "Active Forces" objections, that Ratsiraka could become a candidate. Runoff elections were held in February 1993, and the leader of the Hery Velona movement, Albert Zafy, defeated Ratsiraka. Zafy was sworn in as President on March 27, 1993. After President Zafy's impeachment by the National Assembly in 1996 and the short quasi-presidency of Norbert Ratsirahonana, the 1997 elections once again pitted Zafy and Ratsiraka, with Ratsiraka this time emerging victorious. The National Assembly, dominated by members of President Ratsiraka'a political party AREMA, subsequently passed the 1998 constitution, which considerably strengthened the presidency. In December 2001, a presidential election was held in which both major candidates claimed victory. The Ministry of the Interior declared incumbent Ratsiraka of the AREMA party victorious. Marc Ravalomanana contested the results and claimed victory. A political crisis followed in which Ratsiraka supporters cut major transport routes from the primary port city to the capital city, a stronghold of Ravalomanana support. Sporadic violence and considerable economic disruption continued until July 2002, when Ratsiraka and several of his prominent supporters fled to exile in France. In addition to political differences, ethnic differences played a role in the crisis and continue to play a role in politics. Ratsiraka is from the coastal Betsimisaraka tribe, and Ravalomanana comes from the highland Merina tribe. After the end of the 2002 political crisis, President Ravalomanana began many reform projects, advocating "rapid and durable development" and launching a battle against corruption. December 2002 legislative elections gave his newly formed TIM (Tiako-i-Madagasikara — I Love Madagascar) Party a commanding majority in the National Assembly. November 2003 municipal elections were conducted freely, returning a majority of supporters of the president, but also significant numbers of independent and regional opposition figures. On March 17, 2009, after demonstrations in the capital, President Ravalomanana signed power over to the military, which in turn conferred the presidency on opposition leader Andry Rajoelina, the mayor of Antananarivo and leader of the demonstrations. Rajoelina declared himself "President of the High Transitional Authority" and pledged to hold presidential elections by October 2010 (a pledge that he did not fulfill), following a constitutional referendum and revision of the electoral code. The United States condemned the unconstitutional and undemocratic change of power in Madagascar and considers the series of events of early 2009 that led to the installation of the de facto leadership to be a military coup d'état. On September 17, 2011, representatives of most of Madagascar's major political factions signed a "Roadmap for Ending the Crisis in Madagascar," endorsed by the Southern African Development Community (SADC), which aimed at ending the long political crisis through the formation of a more neutral, power-sharing interim government that would prepare the country for elections. Structural reforms began in the late 1980s, initially under pressure from international financial institutions. An initial privatization program (1988-1993) and the development of an export processing zone (EPZ) regime in the early 1990s were key milestones in this effort. A period of significant stagnation from 1991-96 was followed by 5 years of solid economic growth and accelerating foreign investment, driven by a second wave of privatizations and EPZ development. Although structural reforms advanced, governance remained weak and perceived corruption in Madagascar was extremely high. During the period of solid growth from 1997 through 2001, poverty levels remained high, especially in rural areas. A 6-month political crisis triggered by a dispute over the outcome of the presidential elections held in December 2001 virtually halted economic activity in the first half of 2002. 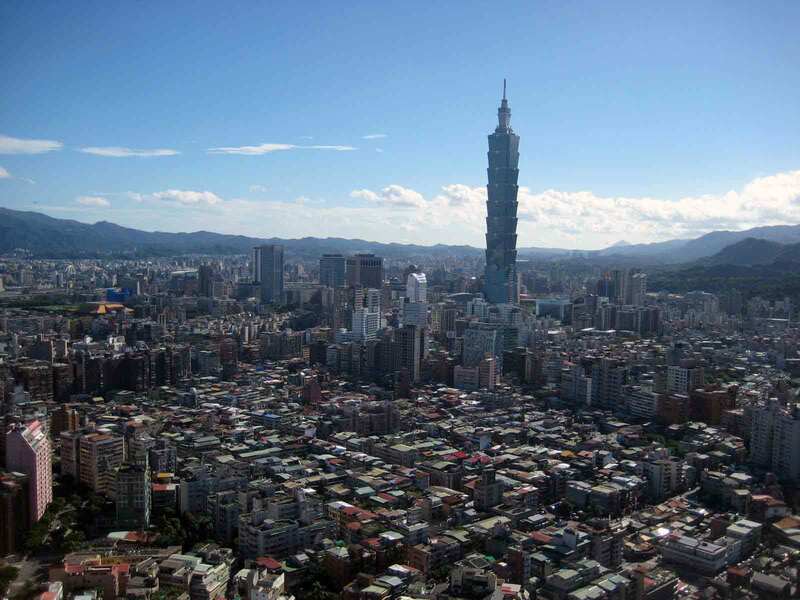 Following the 2002 political crisis, in coordination with international financial institutions and the donor community, the government attempted to set a new policy course and build business confidence. Madagascar developed a recovery plan in collaboration with the private sector and donors and presented it at a 2002 "Friends of Madagascar" conference in Paris organized by the World Bank. Donor countries demonstrated their confidence in the new government by pledging $1 billion in assistance over 5 years. The Malagasy Government identified road infrastructure as its principal priority and underlined its commitment to public-private partnership by establishing a joint public-private sector steering committee. In 2000, Madagascar prepared a Poverty Reduction Strategy Paper (PRSP) under the Heavily Indebted Poor Countries (HIPC) Initiative. The boards of the International Monetary Fund (IMF) and World Bank agreed in December 2000 that the country had reached the decision point for debt relief under the HIPC Initiative and defined a set of conditions for Madagascar to reach the completion point. In October 2004, the boards of the IMF and the World Bank determined that Madagascar had reached the completion point under the enhanced HIPC Initiative. The Madagascar-U.S. Business Council was formed in Madagascar in 2002. The U.S.-Madagascar Business Council was formed in the United States in May 2003, and the two organizations continue to explore ways to work for the benefit of both groups. An American Chamber of Commerce was launched at the end of 2008 and remains active even after the 2009 coup d'état. Madagascar's ongoing political crisis continues to negatively impact key economic indicators and the business sector. Due to the actions of the HAT regime, Madagascar no longer met eligibility requirements for the African Growth and Opportunity Act (AGOA) as of the end of 2009, a situation which resulted in the loss of thousands of jobs. Swaths of the country have returned to a barter economy, and standards of living have progressively declined since the coup. Madagascar, which has historically been perceived as on the margin of mainstream African affairs, eagerly rejoined the African Union (AU) in July 2003 after a 14-month hiatus triggered by the 2002 political crisis, and joined SADC in 2006. From 1978 until 1991, then-President Ratsiraka emphasized independence and nonalignment and followed an "all points" policy stressing ties with socialist and radical regimes, including North Korea, Cuba, Libya, and Iran. Taking office in 1993, President Albert Zafy expressed his desire for diplomatic relations with all countries. Early in his tenure, he established formal ties with the Republic of Korea and sent emissaries to Morocco. Starting in 1997, globalization encouraged the government and President Ratsiraka to adhere to market-oriented policies and to engage world markets. External relations reflected this trend, although Madagascar's physical isolation and strong traditional insular orientation have limited its activity in regional economic organizations and relations with its East African neighbors. During his term, President Ravalomanana welcomed relations with all countries interested in helping Madagascar to develop. He consciously sought to strengthen relations with Anglophone countries as a means of balancing historically strong French influence. Following the 2009 coup d'état, Madagascar was suspended from participating in AU and SADC activities until constitutional order is restored. Most donors in Madagascar, including the United States and the European Union, have suspended assistance programs to the Government of Madagascar. The United States currently undertakes only humanitarian assistance programs that have a direct impact on civilian populations in need. The AU formed an International Contact Group to coordinate international community action to ensure a return to constitutional rule as quickly as possible, and SADC appointed former Mozambican President Joaquim Chissano as a mediator in the effort to find a consensual, negotiated solution to the ongoing political crisis. Additionally, the AU and others have enacted certain targeted sanctions or travel restrictions on members of the HAT regime who are impeding a return to free, fair, and durable democracy in Madagascar. Relations with the United States date to the mid-1800s. The two countries concluded a commercial convention in 1867 and a treaty of peace, friendship, and commerce in 1881. Traditionally warm relations suffered considerably during the 1970s, when Madagascar expelled the U.S. Ambassador, closed a NASA tracking station, and nationalized two U.S. oil companies. In 1980, relations at the ambassadorial level were restored. Throughout the troubled period, commercial and cultural relations remained active. In 1990, Madagascar was designated as a priority aid recipient, and assistance increased from $15 million in 1989 to $40 million in 1993. Madagascar was one of the first countries to qualify for AGOA "Wearing Apparel" provisions, allowing the growth of a significant textile and garments export sector in Madagascar. Unfortunately, the coup d'état that brought Rajoelina and the HAT regime to power, followed by Rajoelina's unilateral rejection of mediation efforts in December 2009, rendered Madagascar ineligible for AGOA under the economic and political governance criteria necessary for eligibility. U.S. assistance in Madagascar has contributed to a population census and family planning programs; conservation of Madagascar's remarkable biodiversity; private sector development; agriculture; democracy and governance initiatives; and media training. Madagascar became the very first country with a Millennium Challenge Account compact when it signed an agreement worth $110 million in April 2006, although the compact was terminated due to the 2009 coup d'état and resulting ongoing political crisis. The United States considers the series of events in Madagascar in early 2009 to be a military coup d'état and, as a result, has suspended all assistance programs that directly benefit the government as well as all non-humanitarian assistance to Madagascar. The United States' intent is to support international efforts led by SADC and the AU to ensure that a credible electoral process takes place as soon as possible, organized by an independent entity. The U.S. Embassy (http://www.antananarivo.usembassy.gov/) in Madagascar is located at Lot 207 A. Point Liberty, Andranoro, Antehiroka, Antananarivo (tel. 261-20-23-480 00/01, 261-33-443-2000; fax 261-33-443-2817. The postal address is Ambassade Americaine, B.P. 620, Antananarivo, Madagascar.